Includes removable micro fiber screen cleaner. Tired of carrying your bulky wallet? 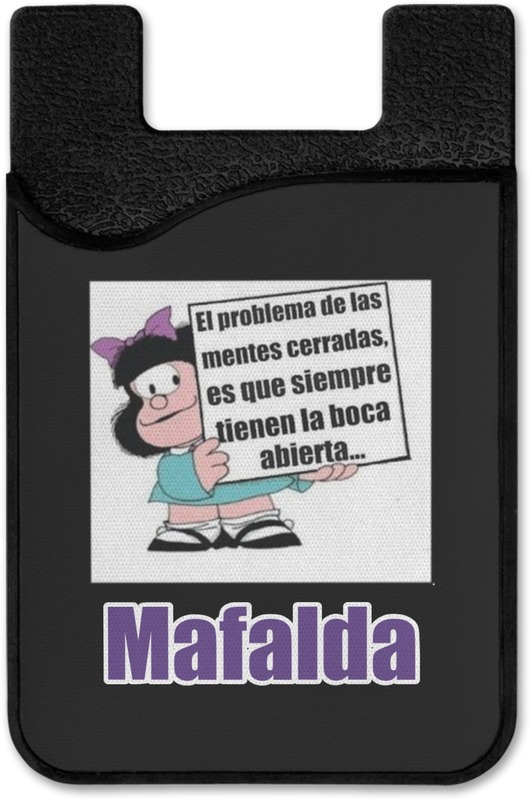 With a cell phone credit card holder you won't need one! In this day and age the main things you need to have with you on the go are your ID and credit card. 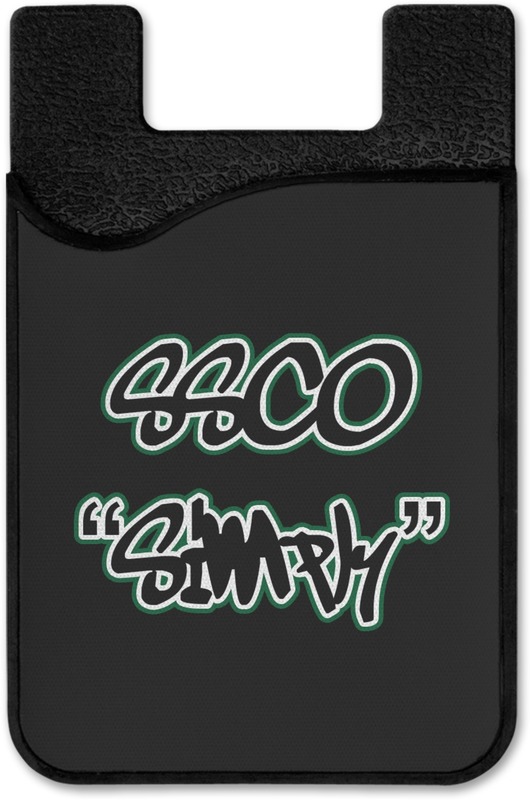 Since most of us already carry cell phones constantly, it only makes sense to have a credit card holder that can attach to your cellphone! This makes it so much easier to carry. It all simply fits into one of your pockets! 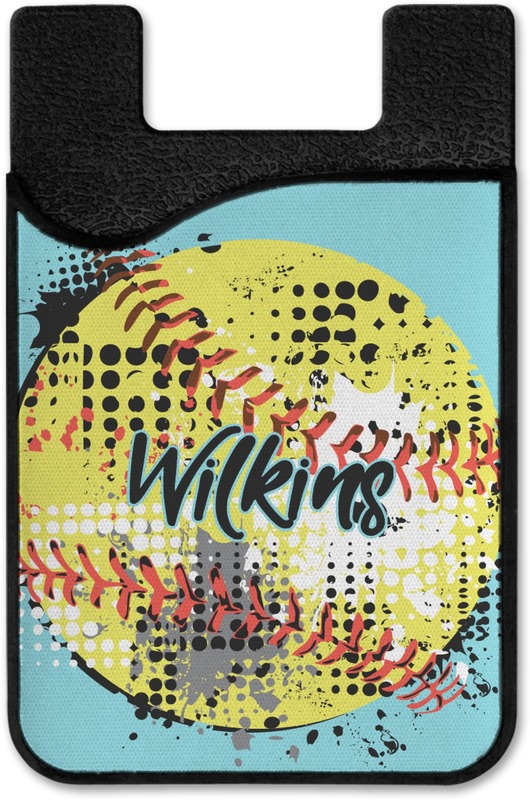 The plastic card holder is approximately 2.25"x3.75", being a snug fit for your cards or cash. The holder securely attaches with 3M adhesive provided on the back, which will leave no residue once removed. 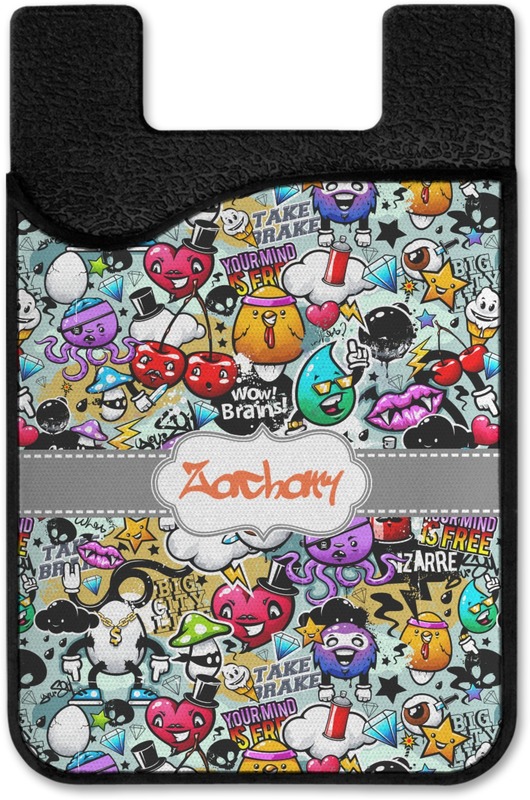 The best part about this credit card holder is that it is a universal fit! Just attach it to the back of your smart phone and you are good to go! 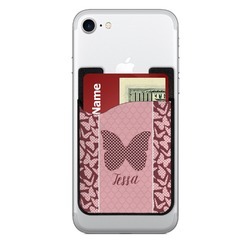 The holder fits 2-3 cards, perfect for your ID, credit card, and some cash! The designed front of this holder not only looks cute, but also functions as a removable cloth to clean your phone's screen! Easily take this piece off and stick it right back onto the holder. 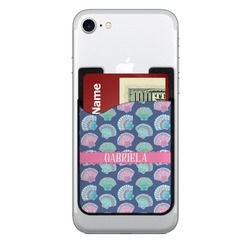 Personalizing your cell phone credit card holder is definitely the best part! Pick a design that just spills over with your personality. Browse our thousands of backgrounds and graphics, so you can make the perfect combination to suit your personality. If you need any help in our design center, be sure to contact us! Very happy with my purchase not too pricy and fast shipping. Best customization site i've seen! I have, as im sure you have as well, used several sites to customize gifts and purchases. Sadly, almost all have limited options and/or are very clunky in the process. Often the prices are off the mark for the product that is ordered. " You customize it" is different! 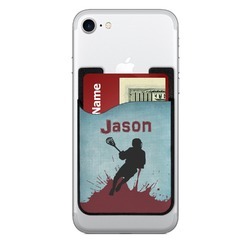 It is so easy to use, offers a wide variety of both customizing design options as well as products. I am very impressed and enjoyed using my creativity to create the perfect gift for my students. This is a must try site for the holidays! Everyone enjoys getting that personal gift. Have fun! Exactly what I ordered, exact quality I expected, on time! Thank you!